My book collection is saturated around the topics of yoga, health, and spiritual living. Most of these books have the same foundations leading the path towards inner peace. Regardless, I can’t stop buying them up and learning from each author’s unique perspective. I get so busy though that the books either sit there, or I start it and never finish. 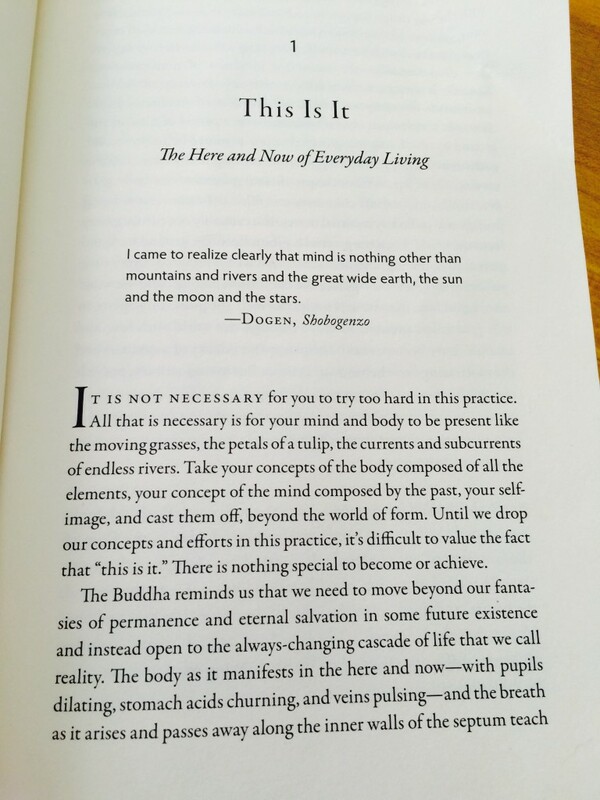 Enter Yogi Movement Required Reading! I started this monthly review series to share my favorite inspiring books, but also to encourage us to stay on track with our reading. I’m going to share my first one with you now: Awake In The World by Michael Stone…. There are a few books that I keep in close reach. Awake In The World by Michael Stone is one of them. Full of inspiring essays and talks, Michael Stone shares his experiences about living the yoga and buddhist path in this high-stress-fast-paced world. He focuses on how to apply the practice of yoga correctly. Correctly apply yoga? Is there an incorrect way? If you have expectations surrounding the practice of yoga, it can actually lead to more suffering. When I started practicing yoga, I thought that the mind was going to become more and more serene. I thought meditation would become easier, and that suffering would become less and less. Was I wrong! As my mind became silent, I became more and more aware of my negative habitual behaviors and thought patterns. I became more aware of the behaviors of the people around me. I was feeling awful about my actions, and becoming angry at the actions of others. Yoga is not supposed to make things better by leading you to this unimaginable or magnificent place of enlightenment, but supposed to make you more accepting and tolerant of the here and now. I had to change my misconceptions of yoga. We should not be concerned in yoga with some ultimate reality. We should be concerned with the way things happen in each and every moment. Within this awareness, we can open to a vivid and still calm at the root of all experience. What that means to me is that we need to accept the good with the bad, the love with the fear, the laughter with the anger, and all of the opposites that surround us. Everything goes up just as quickly as it comes down. These actions are inevitable in life. We need to cultivate the patience and understanding that all moments are impermanent, and we need to let them float by with whatever we’re feeling during the time. When we can let go of expectations, and learn to be less reactive – only then can be more peaceful beings. 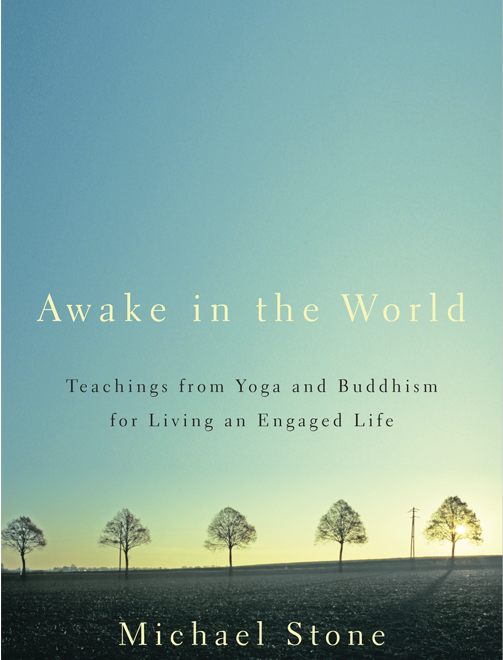 The stories are full of day-to-day life happenings with nuggets of information on how to use yoga and buddhism to live a peaceful day-to-day life. In addition to yoga and meditation, I need to have these kinds of books in my life that I can turn to for inner peace and inspiration. Whenever I’m feeling stressed before bed, I love to pick up this book and just open it up and read one of his essays. It grounds me, and calms my mind right away. Michael Stone is a buddhist, a yoga practitioner, and a therapist out of Toronto. What are some of your go-to-inspiration books? Tell me in the comments!